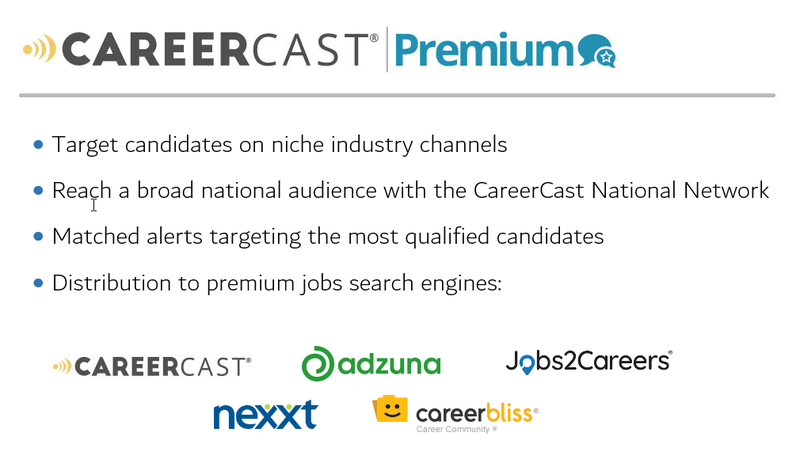 These packages include 60 days postings, Featured Upgrades and distribution to our CareerCast Premium job board partners. 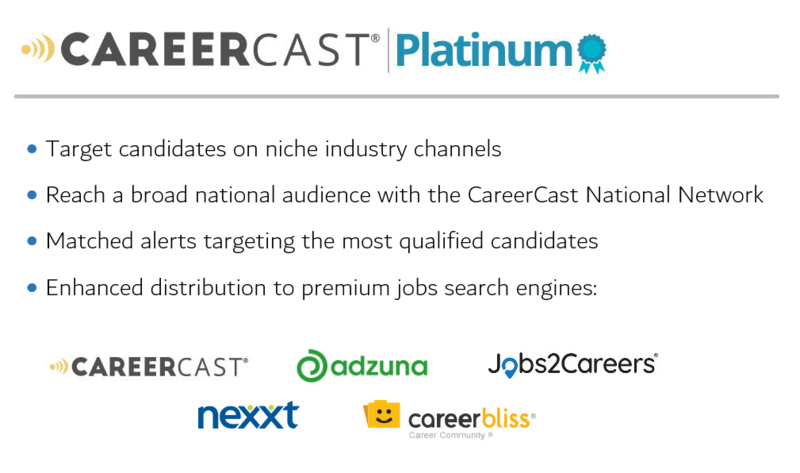 These packages include 60 days postings, Featured and Spotlight Upgrades and distribution to our CareerCast Platinum job board partners. To determine which advertising opportunity best meets your immediate hiring needs, call Alicia Soto at (760) 692-4174. Realize substantial savings by purchasing an annual Multi-Job Post Package. The best option for employers posting four or more position within a year. Contact us for prices. 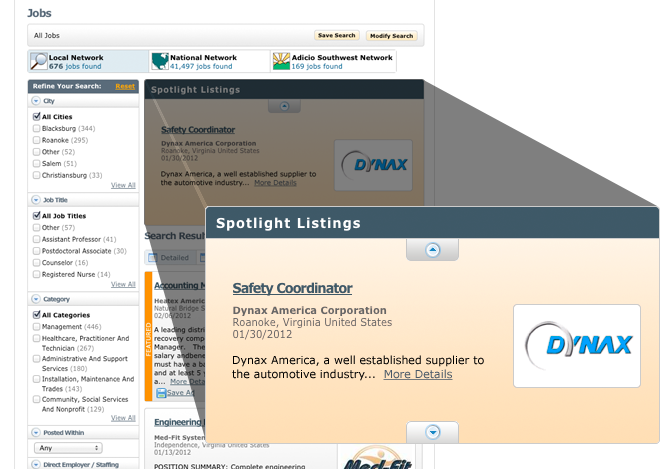 Want to list all your jobs quickly and easily? Ask us about our Job Wrapping technology and how it can help you fill all your positions for a fraction of the cost and with no additional job posting effort from you. 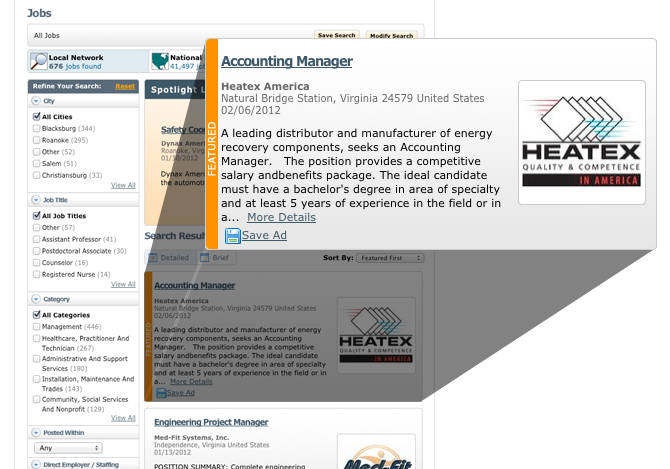 Add on Resume Database access to any posting package and tap directly into our candidates for those hard to fill positions.